After what seemed like an eternal winter, spring has FINALLY sprung on the east coast and everyone in New York, including me, is going insane. It’s 80 degrees right now (which might make me inclined to jump right into summer). Layers are being shed. My peacoat moved from the back of my door to the depths of my closet. Bryant Park is packed during lunchtime. I wore sandals and a sundress to work today. Forty minutes in the sun left my chest and cheeks pink. Because of this, sitting at my desk makes me antsy. This cabin fever screams rooftop barbecues against the setting sun, late night skinny dipping, competitive whiffle ball games on the beach, watermelon-spitting contests into the dunes, boatloads of time with friends and loved ones, and ice cream-laden deserts. 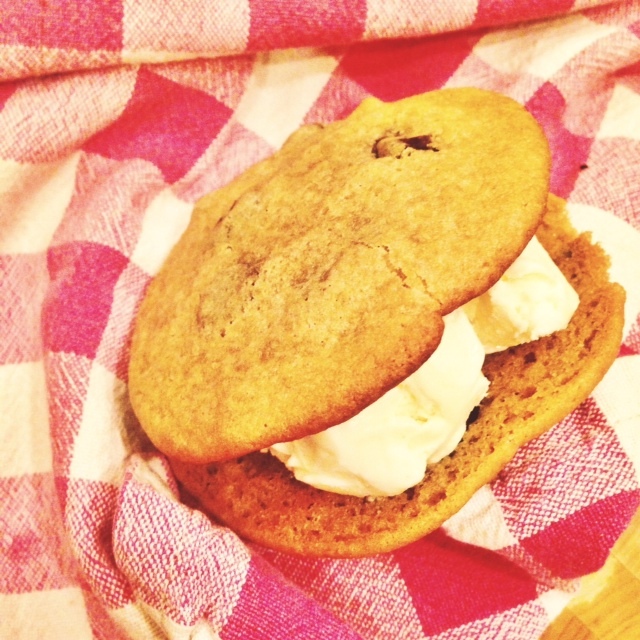 These cookie sandwiches aren’t the ice cream truck Chipwiches of your childhood. These sophisticated, booze-infused gems taste like mischievous scheming feels — deliciously wrong and incredibly thrilling. Line 3 flat baking sheets with parchment paper and set aside. In a large bowl, sift together flour, salt, and baking soda. Set aside. Using a handheld electric mixer, KitchenAid, or a whisk, cream butter and sugar together. Add eggs one at a time, beating well after each. Add vanilla and mix until smooth. Slowly incorporate flour mixture 1/4 cup at a time. Mix until just incorporated and add the kahlua. Fold in chocolate chips. The dough will be a bit thinner than normal cookie dough, so refrigerate for about an hour. Using a spoon, scoop out tablespoon-sized mounds of dough and place on the baking sheet about 2-inches apart. Bake for 9-11 minutes until golden brown. Allow cookies to cool completely on a cooling rack. Flip half of the cookies over. Scoop about 2-tablespoons of vanilla ice cream on to the flipped halves, then top with a second cookie to make a sandwich. 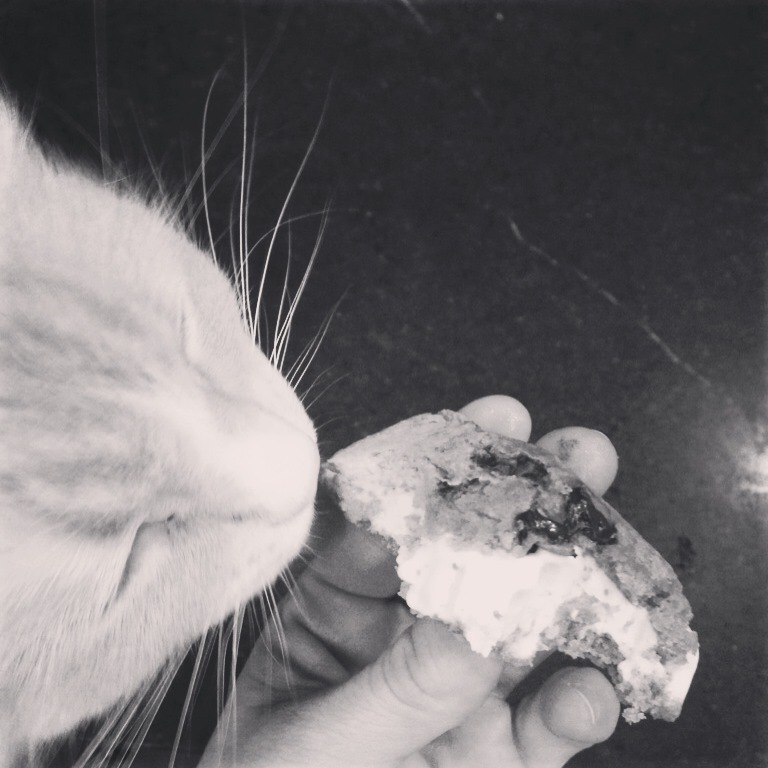 Eat immediately before your cat gets too curious. 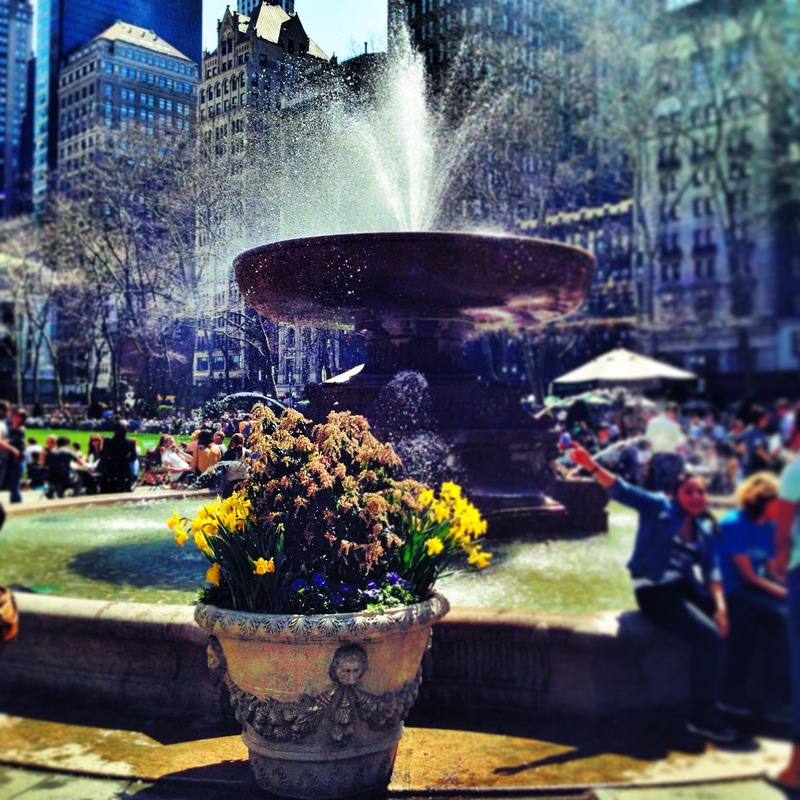 As enticing as this summer day in April…..